He is one of more than a dozen suspected terrorists arrested in the last week as security services try to 'clear the decks' before the Olympics start later this month. Britain's top expert on terrorism legislation, David Anderson QC, also said police and MI5 are 'defending further up the field' to avoid any 7/7 or 9/11-style attacks when London hosts the Games. 42-year-old Aktar is currently being held in custody and will appear before magistrates in Blackpool on Friday. He has been charged with leading another person into believing that he had explosives, namely Semtex, in Blackpool with intent to cause an explosion. He is alleged to have told someone that he had a bomb in his car and was preparing to drive to the Olympics in London and set it off. Police were alerted when the witness managed to make a 999 call on his mobile phone. Aktar is further charged with racially aggravated threatening behaviour towards a police sergeant. At a court hearing earlier this week Aktar was remanded in custody. Aktar is one of 14 suspected terrorists arrested last week. Detectives have been granted more time to question a 22-year-old woman over another suspected terror plot in the UK. Five men arrested last week in connection with the same plot, including British Muslim convert Richard Dart, can also be held until tomorrow after Westminster magistrates granted a series of warrants of further detention, police said. A seventh person held in the raids, a 30-year-old woman, was released without charge on Saturday. Dart, 29, who changed his name to Salahuddin al-Britani after converting, was one of the six people arrested over the suspected terror plot last Thursday. He is believed to have been one of three people detained in Ealing, west London, and was arrested in the street. He appeared in a BBC Three documentary, My Brother The Islamist, made by his stepbrother Robb Leech last year, which described how Dart, originally from Weymouth, Dorset, had been converted by controversial cleric Anjem Choudary. In the documentary he spoke of his support for jihad and sharia law. The others detained in Ealing were a 21-year-old man and a 30-year-old woman held at separate home addresses. The woman has since been released without charge. 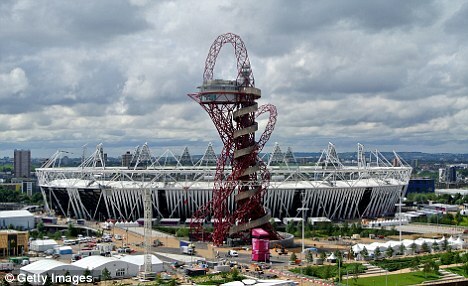 Three men living just over a mile from the Olympic site in Stratford, east London, were also arrested. The men, aged 18, 24 and 26, who are believed to be members of the same Bangladeshi family, were detained in a raid on their home. The six, who include a former police community support officer, remain in custody at a south-east London police station on suspicion of the commission, preparation or instigation of acts of terrorism. The alleged plan involved Islamist extremists with potential targets in the UK, but was not linked to the Olympics, it is understood. The threat to the UK from international terrorism is currently rated substantial - the third highest of five levels.